Oh cool! Where can I get these, Tesco? Wow, I can’t wait to get my kit! Thanks God. I can’t tell you how many times I’ve had to leave my trophies in the wild because I’m too cheap to pay for them to be stuffed. Now I can do it myself. Brilliant. Chowner’s last blog post..Where in the world is my wife? We had a pet die a couple months back. I wonder if I could dig him back up and try it. The kids would be thrilled/horrified. I can’t even think of anything to say about this one! Sherry at EX Marks the Spot’s last blog post..Wordless Wednesday: Do You Have YOUR Ducks in a Row? Hindleyite: These are not available in the shops! Call now on 1-800-DEAD-CRAP and we’ll throw in another one! And a dead squirrel! And a ShamWow! Etc. Mary: Then let the killing spree commence! Chowner: No excuses now! Get out and get blasting. Thinkin: Promise you’ll post pics? Sherry: Don’t think. Just admire. Can I used this on my ex-husband? Does he have to be dead? This is how Norman Bates started. I’ve been looking for something like that to use on this kid I smushed with a car. He’s in the freezer. I thought that I’d fix him up and send him back to his parents to enjoy. Do you have anything for that? I was gonna make fluffy into a rug, but now I have a whole new option! awesome. 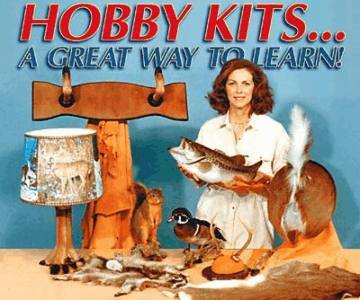 Next time I hit a moose on the highway I’ll be sure to buy this kit. But, maybe Bob needs the money! Who are we to put Bob out of business? C. Fraser’s last blog post..This Is A New Post. Stephanie: According to the instructions, the subject ideally should have expired. Doesn’t say anything about not using on ex-husbands, so you’re good to go! Jen: And it didn’t do him any harm! Red: That is very considerate of you! I’m sure his parents would be delighted. Chat: Glad to be of service! I’m sure it’s what Fluffy would have wanted. Melba: What disturbs me is that stuffed deer arse in the photo. Why would anyone stuff just a deer arse? Oh, maybe I’ve just worked that one out. Evil: Now you’ll be looking out for critters to hit! Have fun! C.: I feel guilty now. He was good enough to offer me a beaver stuffing job once. I think that’s what he meant, anyway. OK. I’m a fool for infomercials at 2am, as I sit here with my charge card and a can of Coors. But your ad got me so curious…..there’s nothing dead around here, yet…..and now my doggie is looking nervous……could it be my intense stare and my tightening grip on the charge card? Dana: We accept all charge cards. And Coors. I come from a long line of mammal mounters. It’s about time someone marketed to us. mydailylist’s last blog post..Who’s making me angry today?